Human populations are rising and we have gotten better at making pretty much everything: computers are doubling in speed every two years, energy prices are tumbling and millions of people are being pulled out of poverty every month. Our transportation systems have made travel faster and cheaper than they have ever been in human history. We have never been so interconnected, we have never been so tightly clustered and yet we have mostly stopped working on the medicines that can halt the spread of communicable diseases; we have stopped making new antibiotics. Soon we will not be able to use our antibiotics to stop infection. The bacteria that cause sickness and disease are evolving so that our existing medicines can't defeat them. We have been speeding up their evolution by using them in our animal feed. Antibiotics are a type of foundational medicine. Any drug that suppresses the immune system can be used in concert with an antibiotic to reduce its risk during therapy. If we have no way to stop the spread of an infection it becomes extremely dangerous to provide a cancer therapy or dispense an arthritis medication. Our hospitals will become extremely dangerous places where super bacteria will concentrate. Without effective antibiotics, the first era of modern medicine will come to an end. Most new drugs are made for the American market. This is because the United States has a private health care system, with a rich population. Their citizens are willing to pay any amount of money, assuming they have it, to receive the medicines that they need. This is the place where you would want to sell your drug if you have one to sell. The price isn't set by a government, it is set by the market. To develop and sell a drug for the American market you have to pass it through their Food and Drug Administration (FDA). The stated purpose of the FDA is to address a societal trade off. Medicines are dangerous substances that can offer a very small helpful effect over the short term, with very harmful effects over the longer term. These longer term harmful effects are often very difficult to attribute to the medicine itself. The FDA as an institution, like any regulatory body, places a number of challenges in front of any company that wants to sell a medicine to the general public, they need to prove that it is both safe and effective. It does this in an attempt to keep the American population safe from unscrupulous medicines and to maintain a good reputation for the FDA, and medicine itself. Members of this institution face the real political threat of losing their jobs if people are harmed by the medicines that they approve. There is an information problem here. It is easy to see who died because of a dangerous medicine. It is hard to see who has died because the medicine they needed didn't exist in the first place. Nobody is collecting information about the number of people that the FDA policies have killed by making drugs too expensive to be developed. As a result, nobody at the FDA will lose their job for slowing down advancements in medicine. It is a hard problem since it's something that mostly defies measurement. The FDA constructed challenges translate into HUGE costs to the pharmaceutical companies. According to this article it cost about 1 billion dollars to get a successful medicine approved. If you take into account all of the medicines that were partially developed but did not get approved, that cost increases to about 4 billion dollars per drug. Furthermore, the cost to develop a new drug is growing exponentially over time. Every nine years the number of drugs produced by a dollar of development is halved. This is called Eroom's law; it is called this because it is Moore's law spelled backward. The above graphs were taken from Nature magazine, and they show that the number of drugs we can produce per dollar has been falling at an exponential rate since the 1950's. We are getting worse and worse at making drugs. We are getting better at doing everything else, so, my claim is that the regulatory body (FDA) is mostly to blame since it has the largest effect on drug invention outcomes. So why not develop a drug somewhere that the FDA doesn't have authority? Why are medicines not produced for a non-American market? I asked this question to my friend Djordje Garabandic because he just finished his Masters of Business Administration. He said that it is because they have a private health care system and their citizens have a lot of money. They are willing to pay a lot more for a drug in the United States, more than citizens in other countries. China and India still have private health care systems, but they just aren't rich enough yet to attract the eyes of the large Pharmaceutical companies. Pharmaceutical companies are in the business of making money, so when they actually get a product past the FDA they want to make a profit. Once a medicine is released, the company that invented it charges a lot for it. Then they find all sorts of other uses for it in areas where it wasn't originally intended to work. This is called off-labeling, and once these new treatments are discovered, a pharmaceutical company morphs itself into a marketing company; convincing everyone they can that they need their drug to have the lifestyle that they want to live. They are trying to recoup their costs and to make a profit for their shareholders. The FDA is not happy about this, but they are the institution that made the costs so high in the first place. To reward pharmaceutical companies for taking the risk to develop a new thing, they are granted patents. These patents are legal constructions that allow them to have the exclusive right to sell their drug, and thereby set its price without any other company competing with it for about 12 years. They set the price as high as they can to maximize the amount of money coming back into the firm, so that they can pay dividends and develop the next drug, repeating the cycle. Here we are talking about another trade off. Society needs firms to incur the risk and expense to create new drugs to cure disease, while they want to ensure that these new drugs are ultimately accessible to the population. A patent offers short-term monopoly power to the firm that made the drug so that they can charge a lot for the medicine. People are willing to pay extortion-level amounts of money for a medicine if it will save their life (or lifestyle). So in this way, it is the profit derived from the desperate who drive the innovation in new medicine, at least over the short term. It is through this extortion that we get new medicines onto the market, and it is through enacting this extortion that the pharmaceutical companies become so hated by the American public. As a Canadian, I personally benefit from the pioneering expense paid by the Americans and avoid paying high drug prices because Canada has a socialised medicare system. Tommy Douglas is considered to be a Canadian hero because it was largely through his efforts that we built socialized medicine in Canada. A typical Canadian would tell an American that it is wrong to make the desperate pay such high prices for medicine. That it is a mistake. Thank you, America for making some of your mistakes in the right direction. When deciding which drugs to make, it is the desperation of large groups of Americans who get the attention of executives within pharmaceutical firms. Obscure diseases aren't worth the effort to develop drugs for. Third world diseases that are not present in the United States will get no attention at all. When a patent expires, other companies can copy the drug without paying any part of the upfront cost that was paid to the FDA. Once the copies hit the market, the drug costs are significantly reduced and the profits for the company that pioneered the drug, evaporate. The pharmaceutical companies try to find ways to have both patents and to keep their exclusive ability to source the drug to the market. Up until recently, this could be done by developing 'biologics'. A biologic is a drug which is based on a complicated protein structure instead of a small simple molecule. They are cheaper to produce and had the added benefit of being hard to copy by the generic industry. This is not the case anymore, since the introduction of the Affordable Care Act (Obamacare), and the following amendment to the "Public Health Service Act (PHS Act), there is a way for generic pharmaceutical companies to produce 'biosimilars'.1 Biosimilars are basically generics for biologics. Another way for a large pharmaceutical company to make a profit is to target illnesses that don't change over time. They might make drugs for mental illnesses, or penile erectile disorders or things that have a common physiological basis or have a direct impact on a person's status within our society. Ideally, these drugs would have to be taken over a long period of time: in this way a drug maker can charge a utility fee. They have a perverse incentive not to cure the problem, but rather to create drugs which will only address the symptoms. This is how you maintain profits and make a sensible business. The executives of the pharmaceutical companies face real political pressure to produce profits for their shareholders. These shareholders are often large institutional funds, with the pooled money of teachers, government workers or other groups who don't want to manage their money independently. These same managers have an existential fear of 'activist' investors. Activist investors purchase a large percentage of a companies stock so that they can replace the upper management to make the company more profitable by giving it 'better' leadership. They are activists of profit, not for society. 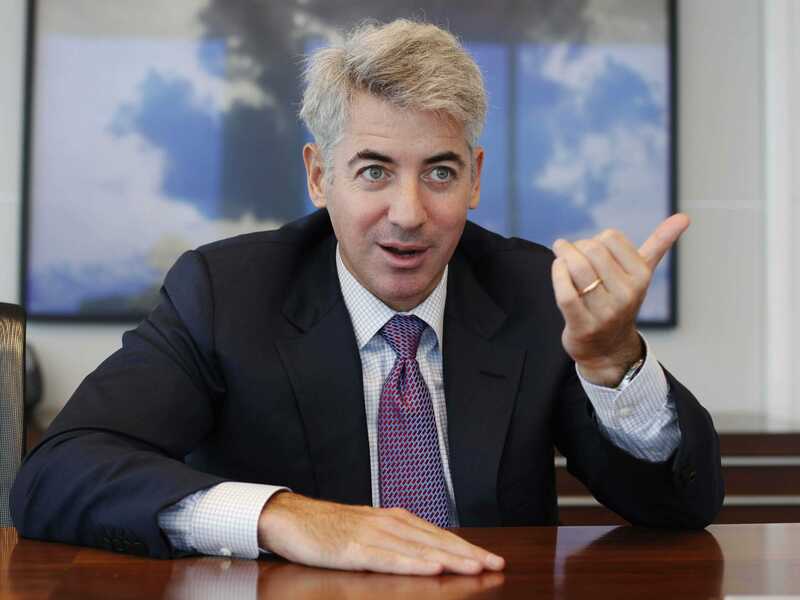 Recently such an activist investor, named William Ackman took a very large stake in a company called Valeant Pharmaceuticals. In response, the executives at Valeant Pharmaceuticals took a play from the Martin Shkreli handbook and started to apply it on an industrial scale. They bought up smaller pharmaceutical companies, fired all of their researchers and raised the prices for all of the drugs those companies were selling. This is not good for society. It is good for business. If the cost of making drugs is so high, and getting higher at an exponential rate, well you don't have to worry about competition anymore. In fact, why not get rid of your expensive researchers and turn your company into Coca-Cola. Build a very strong brand, excellent distribution networks and fight hard to get the idea of your product into everyone's mind. Stop working on a hard problem, pushing innovations through the FDA, and work on an easy problem, selling drugs. Making drugs is a hard problem for many reasons. Tremendous amounts of human energy and intelligence are required to turn a profit given how difficult it is to produce a new drug. This effort is mostly wasted navigating large bureaucracies and regulatory complexity. The amount of education required for someone to achieve a research level of competence is well above a hundred thousand dollars (if educated within the United States). Innovative people have a difficult time in large bureaucracies. The larger the organization, the more risk averse its culture becomes and the more anti-innovative its people become. Small groups are better for innovators, but small groups don't have the might required to push a product through the FDA. Think about all of the firms that don't exist, because the business problem is too difficult. Investors are not trying to solve public health problems, they are trying to build wealth over time. Why would an investor put money into a new pharmaceutical firm that is trying to create products where there is very little chance of making money? So, the little firms that might have innovated new medicines do not exist because they weren't given the money to be born in the first place. In such an environment, Pharmaceutical companies have little to no incentive, to make drugs for diseases that change over time, like bacterial infections. These are the diseases that one thinks about when they think about what medicine is for. Despite all of this, we have a few of these antibiotic products on the market. They are actively being destroyed by our agricultural industry. Now think about the cost of the remedy, the construction of a new antibiotic, between 1 and 4 billion dollars because of the way we have structured our institutions. Think about how pharmaceutical companies have no incentive to pay this money. Things get even more complex when you consider that the Chinese are using an "antibiotic of last resort", Colistin, in their pig farms. It is an antibiotic of last resort in the United States, because it causes kidney damage, so American doctors would rather not give it to their patients unless they absolutely have too. The Chinese, ever pragmatic, use this antibiotic in their pig farms because they don't care if it causes kidney damage in the pigs that will soon be eaten. 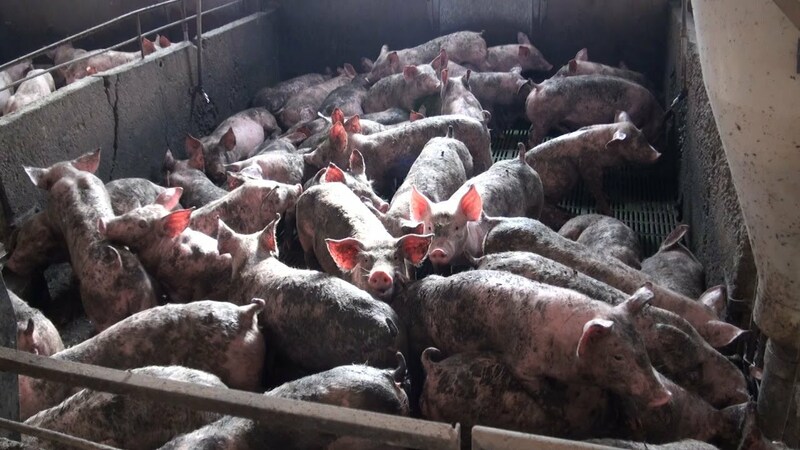 Even if the FDA ruled that "antibiotics of last resort" were not to be used in the United States, how would they convince a Chinese farmer that they should reduce their pig yields? Other industries are also actively destroying what medicines we have; consider fish farms. Salmon have evolved in the most radical way to avoid the transition of disease from one generation to another. They migrate thousands of kilometers up streams and rivers, spawn their eggs then die so that their bodies will be pushed away from their children. In this way, their children will have a chance to grow free of the infections that were accumulated by their ancestors. This seems crazy to us, but we don't live in water, where our pathogens could literally flow between us. What do we do? We place these same fish into nets, tightly concentrated and feed them foods laced with our precious antibiotics. They infect each other with their diseases and create an evolutionary accelerator for bacterial plumes. Those plumes are released back into the ecosystem, through the netting. Our sushi is cheaper, but we have basically constructed an industrial scaled version of the petri dish seen in the above video. In recent times we have discovered that bacteria are capable of sharing their innovations across different species. As a kid, I always thought that it would be really cool to breed a giraffe with a cat to make giant cats with long necks. When I asked my science teacher why we don't construct animals like this, he said, "Life doesn't work like that, kid. A life form of one species can not breed viable offspring with another species." He was wrong, bacteria can. It has recently been discovered that bacteria from different species transmit DNA to each other through things called plasmids. Plasmids are a kind of bacteria-information-infection that are transmitted from one bacteria to another. So, through these, a bacteria of one species can "catch" the resistance of another, without having to evolve it. Our super bugs are excellent at evolving. In summary, our populations are rising, so it is easier to transmit infections between us. If we can't stop infections then we won't be able to conduct surgery or offer other medicines that harm the immune system (like cancer treatment). We are getting worse at making medicine and we are not making new antibiotics because the business case has been made prohibitively expensive by the FDA. Large hedge fund managers are now firing drug researchers, who might have been working on new drugs to stop disease. Bacteria are evolving much faster than we ever thought possible. 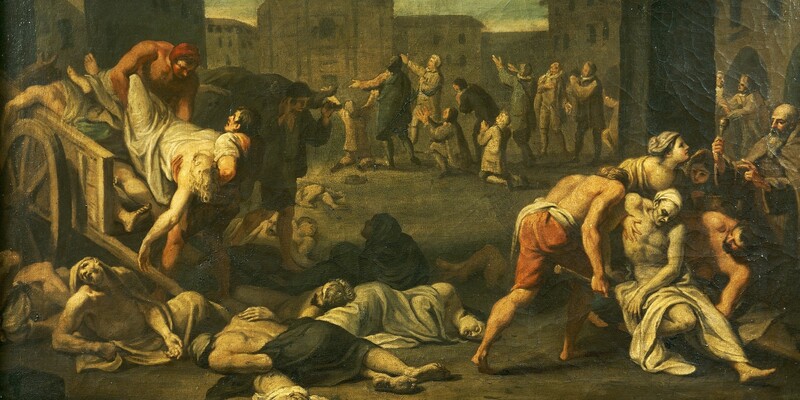 It seems that we are on a crash course with plague. What can we do? Suggested solutions to come.